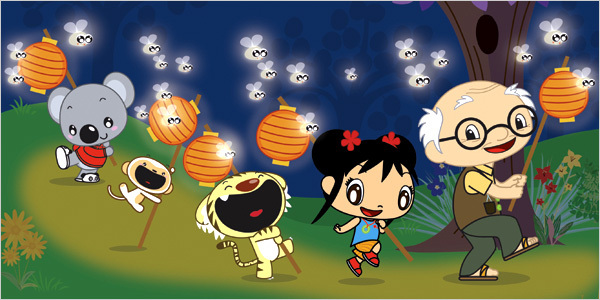 Have anyone watched the kid's show kai-lan on nick? Kind of like the Chinese version of Dora The Explorer. We happen to own all the seasons up to now. We have others as well. That's right, we are trying to corner the market and cut out the commercials. Well one day it kind of back fired on us. We were shopping in a supermarket, and my daughter yelled out, Kai-lan Kai-lan, pointing to the little Chinese girl around the same age as herself. It was cute and disturbing at the same time. It really means that we have to find some playmates for her real soon... Of course this goes both ways; every time she see a skinny black girl, she instinctively assumes it my sister-inlaw, and called out her name... Again, we need to take her our more. Lucky for us we brought a new car a while back ago and Summer is about here. Hopefully we are able to take her to the park and find some kids her age for her to play with. Don't you just love the things that come out of their little mouths in public? I think she will love the park and getting to know more kids her age. She goes, "Ni-hao! I'm Kai-lie (pronounced lee)."